Sometimes a product can inspire a layout and in this case it definitely did inspire me. 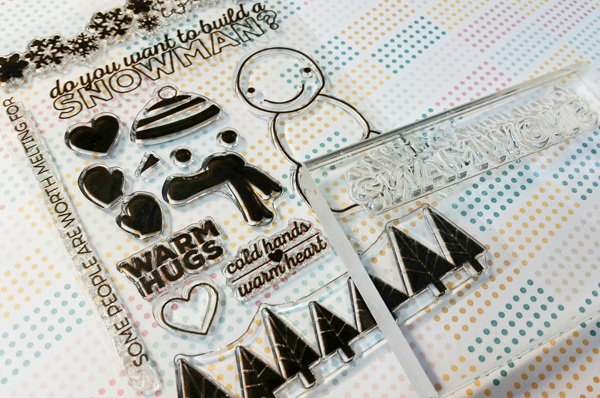 First, let me show you the product - a stamp from the "Sweater Weather" Stamp Set from Scraptastic Club. I love stamps so I often look at stamp sets and think about how I would use them. 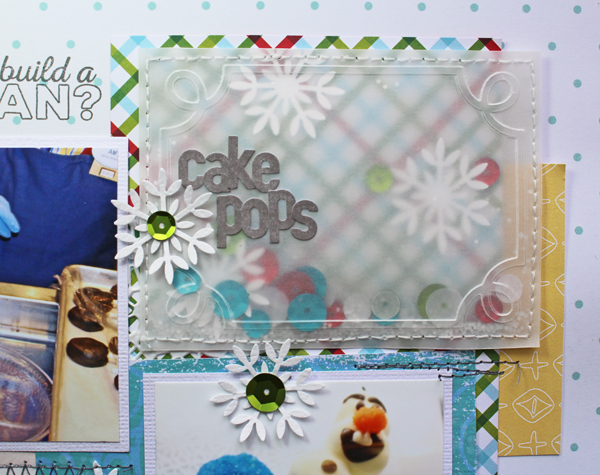 Most people would think of children playing in the snow but I thought of cake pops! Specifically Olaf Cake Pops. I was watching them make them in one of the bakeries at the Magic Kingdom and I think I might be able to make these! LOL! 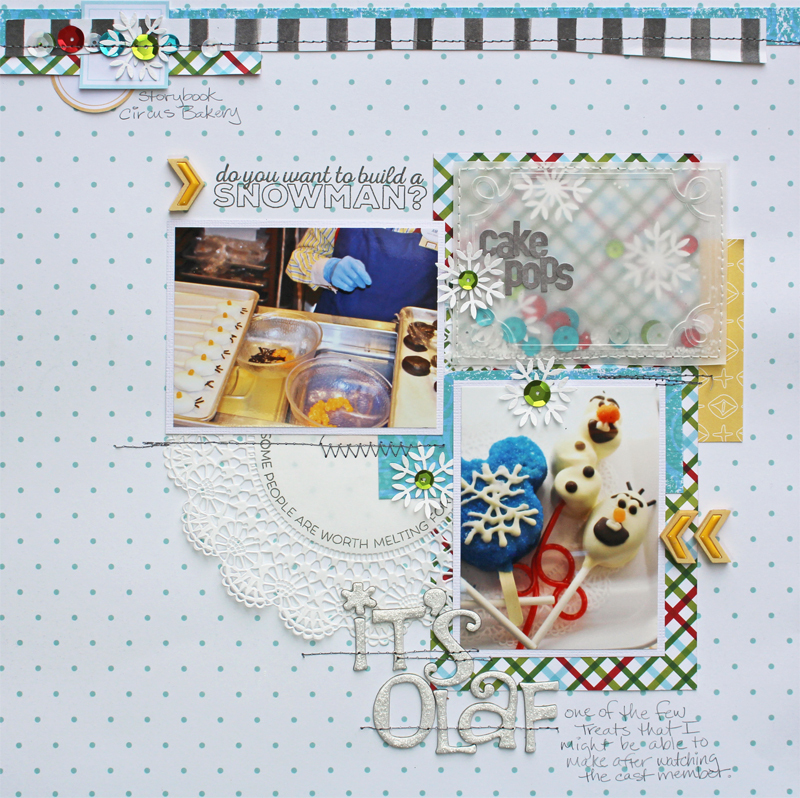 I used papers from my January kit and from the Scraptastic Club Store, but I added some plain alphas from my stash that I added Stickles to, and a white doily. I used a Project Life Embossing Folder from the Scraptastic Club store to create a vellum shaker packet and I put Fancy Pants Oh Deer Sequins inside along with snowflakes that I punched from scraps of white cardstock. 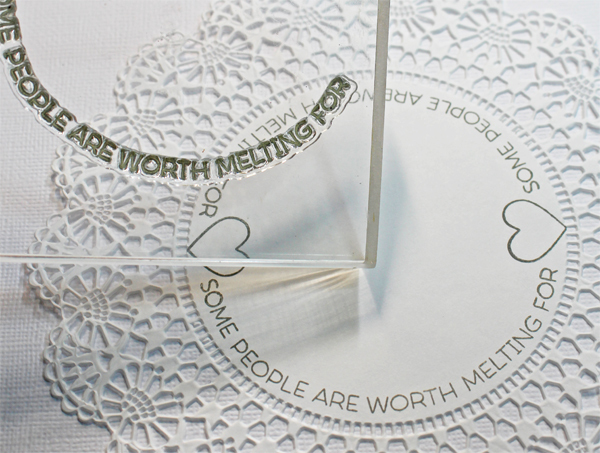 I cut two 3x4" pieces of the vellum and embossed one with the card shape then layered them with sequins and punches in the center and machine straight stitched around the perimeter of the vellum sandwich. 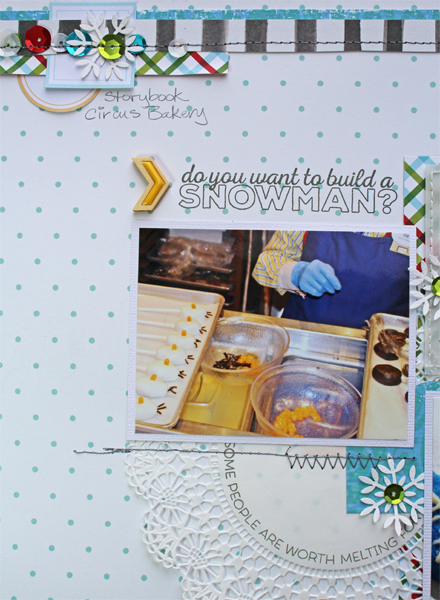 :) Just a fun quick embellishment for a layout, pocket pages, or a card. If you have older alphas that just do not look fun, pull them out and add stickles, glitter, paint, or embossing powder to dress them up a bit. I like the way these turned out. 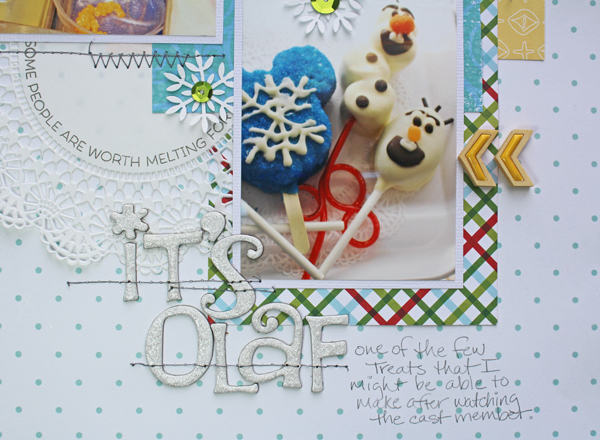 This is a gorgeous page Susan! !